The 51 successful start up entrepreneurs who secured the funds for the innovative ideas and business skills are now the Permanent Residents of Canada. Canada’s ambitious investment program to attract investment and innovative ideas that drive the growth proved successful. Yes, the Canada Start Up visa program drew the attention of the successful applicants from the Egypt, India, Costa Rica, China, Iran, South Africa, Australia and Uruguay. The innovative investors will invest in the medical research, Food manufacturing, Banking, Human Resources and advertising. The Start Up ventures would be soon launched in countries like Toronto, Halifax, Calgary, Mississauga, Waterloo, Thunder Bay, Whistler, Victoria, and Vancouver. The international entrepreneurs with the innovative ideas would be encouraged to expand their companies in the Canada. The entrepreneurs, whose plans are backed by the approved agencies of Canada, will have the opportunity to set operations and will have guidance support too. Initially, the startup program was slow but steadily gained the momentum. Presently 50 applications are in the processing stage that needs to be backed by the Canadian Venture capital fund and the Angel investor group. 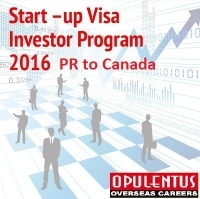 The startup visa programs main intention is to attract investment and drive the economic growth. Much emphasis is laid to creation of jobs and providing the better opportunities to the youngsters of Canada. The program has diverse requirements and candidates must meet the eligible requirements to apply for the Canada Start up Visa.